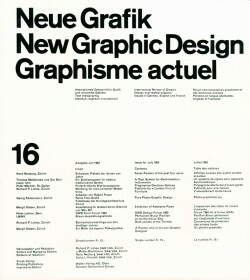 The Grid System - Page 4 of 9 - dedicated to all things Grid. This is a short beginner friendly video tutorial by Justin Seeley who explains how to setup a grid in photoshop using the GuideGuide extension. ..
A new article by Tom Newton that offers an introduction to the topic of grids and the terminology related to grid systems, and then explains ..
Alignments Gridle is a new SCSS grid system that is very responsive and highly customizable, and it’s really easy to use. Gridle also .. 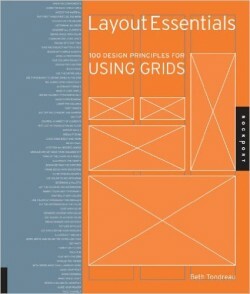 Layout essentials: 100 design principles for using grids – is a solid book. 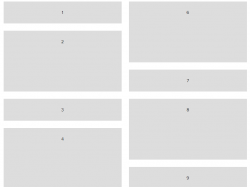 I’d like to stress this though: if you’re ..
A great little photoshop 1000px grid template (PSD files) for responsive web design, created by the designer Elliot Jay Stocks. In the link ..
A simple, but beautiful wordpress theme by VerticalRythm, based on the “Neue Grafik” pubblication which was designed with a strong .. This a set of video tutorials by professorBRB (username on youtube) on handling the various aspects of typography in Indesign. The creator ..
Baseline, by stephanecurzi.me, is a designer css framework built around the baseline grid, and it’s designed with typography ..
Kube is a responsive CSS framework that includes a flexible grid system, very useful for designing adaptive websites. More information .. This introduction to grid systems is a part of “Printing Code”, a graduate course on design system programming. Many topics ..